Hey lovelies! Autumn is upon us and it only means one thing- it's time to change your wardrobe essentials and add more accessories and jackets. In particular, I want to showcase something I found online that inspired me in terms of fashion. As an artistic girl, I've always been fascinated by scarves because they go well with leather jackets and winter coats in general. 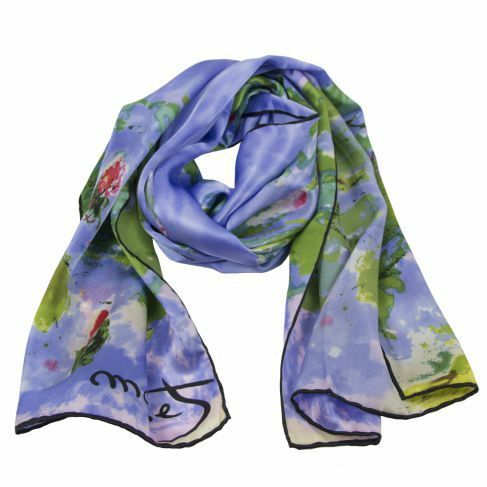 I am so excited to share with you a lovely site called Rosberg- which sells a great range of artistic scarves with art-inspired print on each item. Rosenberg is a private producer of pure silk scarves, and they deliver to museums all around the world. 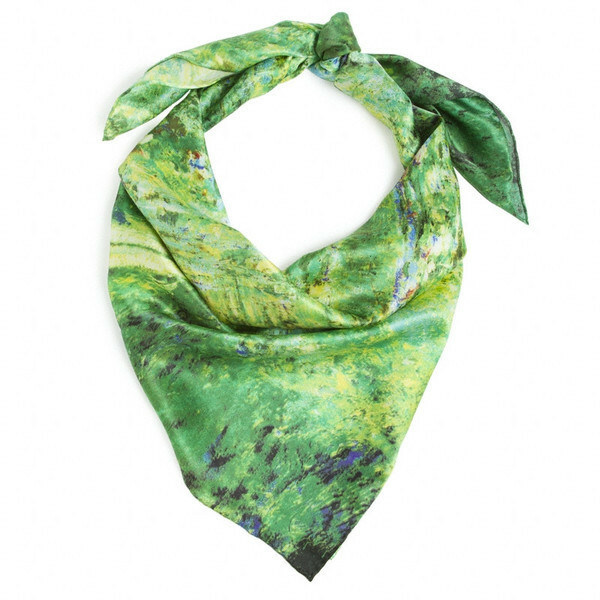 What struck me most about their scarves is the design- they print Monet, Van Gough and Degas, amongst others from the art nouveau movement, onto their scarves. This means that each scarf looks like a painting- a colorful array of brush strokes and patterns with a dash of class. I'm not going to lie- I am a huge fan of art ever since I was a child. I love drawing and painting. What excites me most about these Rosberg scarves is that they make "wearing" an art piece possible! Some of my favourites from their collection include their "Starry Night" scarf and their Monet "Japanese Bridge" scarf. They would go perfectly with a black leather jacket, or a light beige trench coat. These are just some of what their shop has on offer. I think scarves are an essential for autumn, because they're versatile and flexible for the cool weather. I always carry a scarf in my handbag if I go out, because it's easy to get cold in the air-conditioning or in the autumn breeze. All their scarves are made in Austria, as Rosberg is an Austrian shop. However, they do ship worldwide. I haven't had the opportunity to order from them yet, but their store sure did pique my interest. They are priced along the mid-to-high range of things, since they're made with high-quality pure silk. Their shop offers free shipping to many countries worldwide. I think these artistic scarves would go well with a black leather jacket, or something dark. It would make any outfit pop out. I like how I can wear my favourite art piece everywhere I go. It's vintage, elegant and warm at the same time. I'm gushing about leather and scarves, because I'm in LOVE with leather jackets too! Art has always been one of my passions. Painting, water-colour, etching, graphic design- you name it, I've tried it. I still do art in my spare time, though not as much now that university is in the way. I do draw when I'm stressed though, as it helps a lot with stress-relief. In fact, I recently worked on a portrait of a bear for a special someone so stay tuned, maybe I'll post it in my next post! 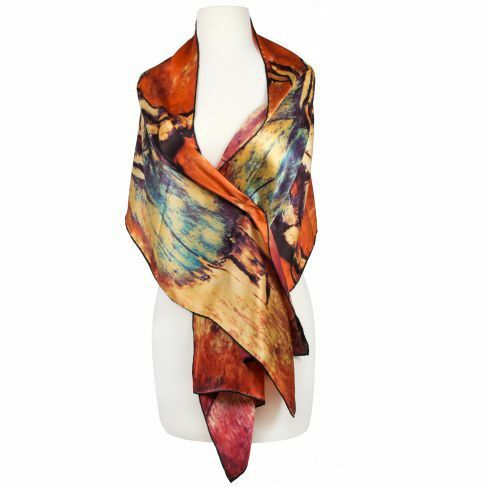 Tell me what you think of these artsy scarves! Would you wear them with your outfits?